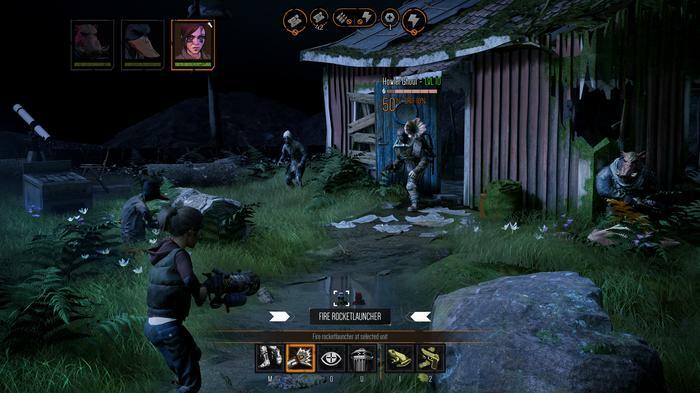 A mix of anthropomorphic post-apocalyptic roleplaying and turn-based tactics, Mutant Year Zero - The Road To Eden is based on the Swedish tabletop game of the same name and while it makes a striking first impression, a myriad of shortcomings ultimately hold Mutant back from reaching the heights the dev team seem to be aiming for. Set in the overgrown and radioactive ruins of civilization, The Road To Eden sees you control a squad of mutants (half-human, half-animal soldiers) who venture out from the last-remaining bastion of civilization to bring back one of their own - last seen on a quest to find a mythical paradise called Eden. 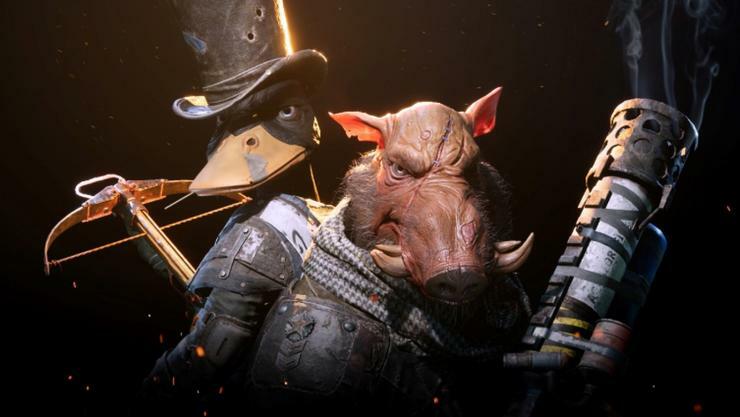 Unfortunately, over the long haul, Mutant Year Zero proves itself tedious, shallow and generic. It’s rarely outright bad, but the whole thing ends up being a slog that even diehard fans of the genre will struggle to love. 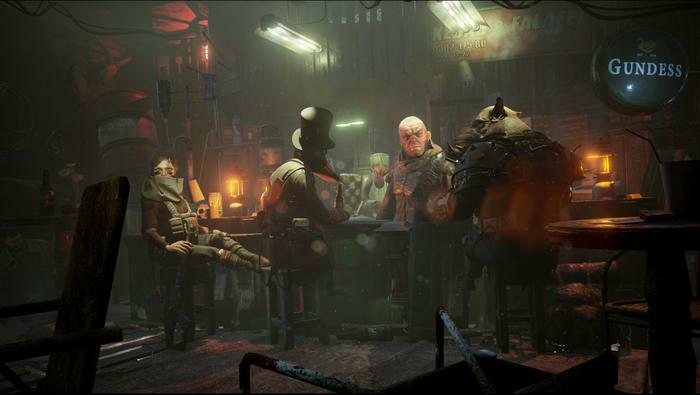 Despite the colorful setup, Mutant Year Zero actually plays things pretty straight-faced. The tone here is grim, not to mention pulpy as hell. The game isn’t above poking fun at the fact that our initial two-man squad consisted of a talking boar named Bormin and his wisecracking duck sidekick, Dux - but it never broke or mocked the fiction. The source material is what it is, and Mutant Year Zero has an almost-slavish and unapologetic commitment to realising that unique vision that proves itself immediately endearing. 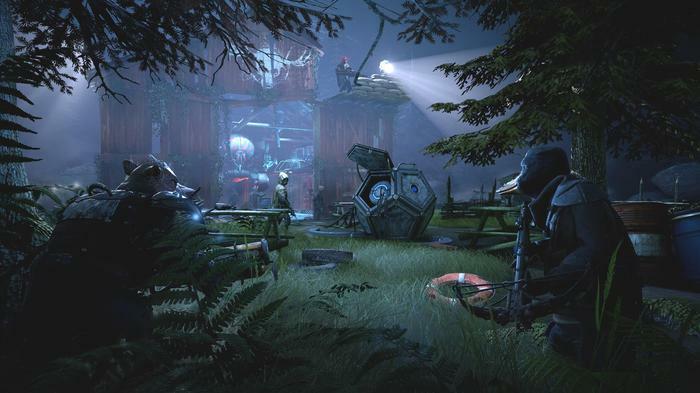 And, at least initially, the gameplay experience in Mutant Year Zero appears to live up to that premise. Each level plays out in real time, with the goal being to sneak past hostile wastelanders, scavenge valuable items and reach the exit with your squad intact. Whenever you’re detected, the game snaps into a grid and you’re thrown into Mutant’s turn-based battle system. Each of your units gets two actions per turn, then the enemy units get two actions per turn. Smart play involves using cover to avoid damage and using each of your unit’s special abilities to turn the tide of battle in your advantage. Again, back when we played the demo version of the game, we came away pretty impressed with Mutant Year Zero two-pronged approach. It’s super-satisfying to work your way through the game’s environments and pick off isolated enemies without breaking stealth, setting yourself up for an easier fight when you do choose to go loud. Unfortunately, the odds seem so tilted against you that this stalker-esque approach is often the only way forward. Even on the lower difficulties, it feels like you aren’t so much winning fights as you are making them more difficult to lose. There’s a decent amount of variety when it comes to the enemies in the game, and the game rarely stops throwing new and terrifying threats your way. Unfortunately, your squad of four units never feels quite equipped to deal with them.The difficulty curve in the game is generous enough on begin with but quickly escalates to a degree that’s hard to keep up with. Towards the end of the campaign, Mutant Year Zero would throw dozens of enemies at me but it always felt like I only had the resources to tackle about half that number. Many of these enemies would use crowd-control abilities to trim down my options further. A single unlucky shot or mistake would often set me back so far that winning was all but impossible.Every victory was won by the slimmest of margins. 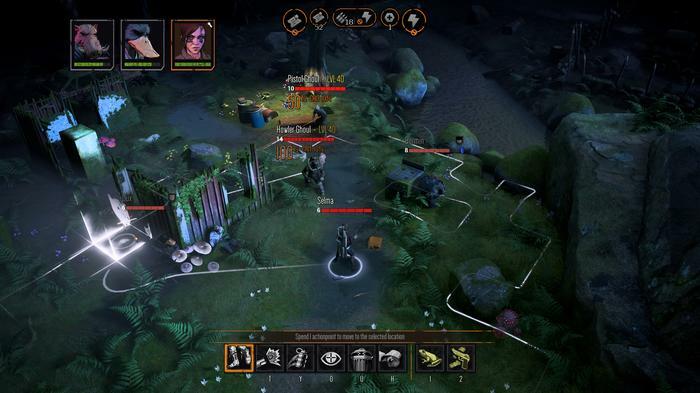 Mutant Year Zero presents itself as an RPG but, in reality, the combat in the game feels are much closer to combat puzzles with little room for error. All too often, it felt like I was failing and flailing here. I’d be reloading fights over and over until I inevitably managed to formulate the single string of critical hits and aptly-timed crowd-control abilities that’d allow me to triumph and proceed onwards. 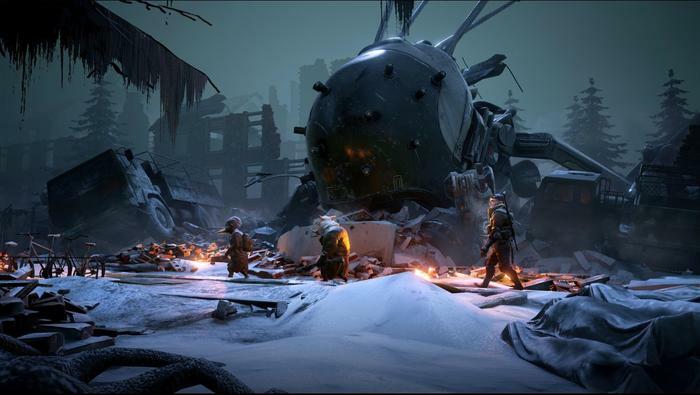 The other problem is that that demo we played (which comprised the first third of the game) pretty much showcased all the depth that the complexity that Mutant Year Zero - The Road To Eden has to offer. Navigating the progression systems in the game never really presented us with any interesting decisions and we managed to pretty-much min-max the skill trees for each member of our squad about halfway through the game. Many of the optional movement abilities you can unlock for member of your squad just didn’t have much of an impact in how we approached fights and, beyond that, most of the upgrades on the menu tend to be passive and numerical in nature. What’s more, some of these abilities feel misleadingly described or outright bugged. For example, Bormin has an activatable ability with a description that’s worded in such a way that it implies you’ll be able to take a third action on the turn you use it. Unfortunately, more than once, I’d trigger said ability set myself up for that third action and have my turn just end as usual. I’m not entirely sure if this was a bug or whether the ability really means that you’re able to take a shot after sprinting (which itself takes up two actions) - but there’s definitely a problem there. That said, there are some things that Mutant Year Zero - The Road To Eden does manage to get right. For one, you can fast-forward through your opponent’s turns - a feature that pretty much every tactics game out there ought to have but very few actually do. And combat does have this snappy feel that I quickly grew fond of. However, even these strengths are saddled by a few odd interface quirks. Mutant’s controls map the fast-forward feature to the same button used to lock in your own actions. This meant that I’d sometimes hit the fast-forward button and accidentally waste a move or two - which was super-frustrating in the moment and could often mean a completely unsalvageable fight. Mutant Year Zero’s skewed perspective here also proved problematic. There’s no in-game minimap, so you’re pretty much left to fend for yourself when it comes to navigating the game’s various locales. I constantly found myself manually crawling back over areas I’d already explored just because I didn’t want to take the risk of missing out on valuable resources. The pitch and the hook for Mutant Year Zero - The Road To Eden is so compelling that it’s genuinely disappointing to see it fall so short of what it could be. There’s a compelling setting and gameplay loop to be found here but, sans any effort to build on that foundation beyond the obvious, it doesn’t take long for the novelty to wear out its welcome. Mutant Year Zero - The Road To Eden is available now on PS4, Xbox One and PC.